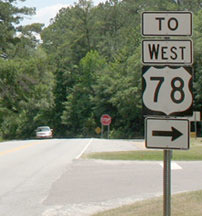 Note: US 178 is signed east-west in South Carolina, but north-south in North Carolina. 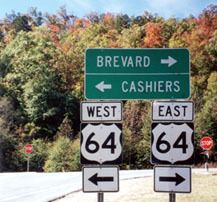 Straight ahead is eastbound US 78, towards Charleston. 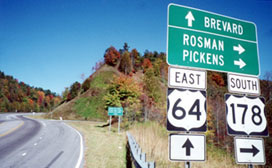 The fork to the right goes to westbound 78; "central" Dorchester is about two miles in that direction. 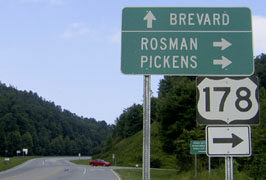 In 6.5 miles US 178 crosses into South Carolina, and then the road is signed "East" (even though Anderson is almost due south). 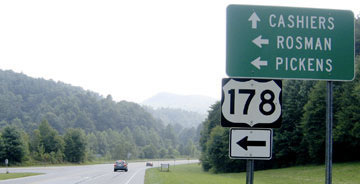 last updated August 13, 2017.